This was fired first on a body having 38 silica, 28.5 ball clay, 28.5 nepheline and 5 bentonite (L3659B). There is no crazing at all but also no crystallization. 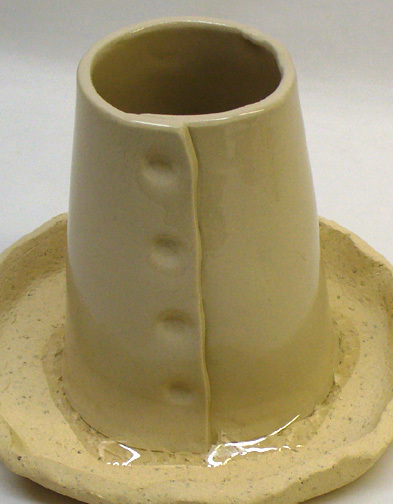 The firing was 750F/hr to cone 6, 750F to 1800F and soak for 4 hours. Cone 6 crystalline glaze on L3659B body, there is no crazing.